China’s foreign ministry denies knowledge of former diplomat Michael Kovrig’s detention. Yesterday saw two major developments in the unfolding saga of detained Huawei executive Meng Wanzhou. Meng herself was released on bail by a Vancouver court, but not before a former Canadian diplomat was detained in China for unknown reasons – strongly suspected to be Beijing’s retaliation for Meng’s arrest. Michael Kovrig, a senior adviser on Northeast Asia for International Crisis Group, was taken into custody Monday night by the Beijing Bureau of Chinese State Security, according to Crisis Group. Kovrig had previously worked as a Canadian diplomat in China and elsewhere. “Crisis Group has received no information about Michael since his detention and is concerned for his health and safety,” the organization said in a media release issued Wednesday. However, Lu added that the organization Kovrig works for, the International Crisis Group, is not registered in China and so any of its work in the country would be illegal. “Once its staff become engaged in activities in China, it has already violated the law,” Lu said. Rob Malley, president of International Crisis Group, said he thinks Kovrig was in Beijing on a personal trip and definitely not for any illegal purpose or any reason that would undermine China’s national security. Kovrig’s detention came after Canada arrested Meng Wanzhou, who is not only a top executive at Chinese telecoms giant Huawei but a daughter of the company’s founder. 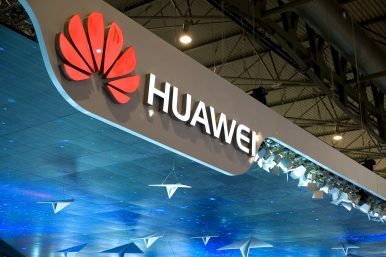 Canadian authorities detained Meng at the request of the United States, which accuses Huawei of using a Hong Kong shell company to sell equipment to Iran in violation of U.S. sanctions. It alleges that Meng and Huawei misled banks about the company’s business dealings in Iran. On Tuesday, after three days of hearings, a British Columbia justice granted bail of 10 million Canadian dollars ($7.5 million), but required Meng to wear an ankle bracelet, surrender her passports, stay in the Vancouver area, and confine herself to one of her two homes in the city from 11 p.m. to 6 a.m. Many Chinese citizens were rejoicing Wednesday over Meng’s release on bail. Her case drew an outpouring of support on social media for her and her company, which is based in the southern Chinese city of Shenzhen. Zeng Yuan, a university student in Beijing, was among those who believe Kovrig’s case is related to Meng’s. While Meng’s release on bail was front-page news in China, most media have not reported Kovrig’s detention. An exception was the Global Times, an outspoken Communist Party newspaper that cited foreign media reports of his arrest. By Ken Moritsugu and Christopher Bodeen for the Associated Press, with additional reporting by AP writer Rob Gillies in Toronto and video producer Olivia Zhang in Beijing. Amid Row Over Huawei Case, China Detains a Former Canadian DiplomatChina’s Plan to Break off US AlliesChina Detains a Third Canadian Citizen for ‘Illegal Employment’Explaining China’s Huawei BacklashWill Beijing Keep the Huawei Case Separate From US-China Trade Negotiations?